Recognizing employees regularly not only increases employee engagement, motivation, and job satisfaction, but also makes your workers feel valued and appreciated in the workplace and is a great and easy way to make a positive difference and impact. Below are 50 employee recognition ideas. Create a peer recognition initiative, such as a collaborative wall or online recognition system where employees can publically post "thank you's" to their coworkers. Always say “well done” or "great job" when an employee does good work. Praise an employee in your newsletter, on your intranet site, or during a team/staff meeting. Set up a “kudos” column in your newsletter and ask for nominations or suggestions. Establish a peer recognition program and provide a reward to the winners. Send a special personalized thank-you or recognition email to an employee. Copy the CEO, board, and/or a senior manager on a thank-you email and advise him/her of the employee's effort. Surprise a team or staff with a party or celebration. Create a "Hall of Fame" wall with photos of outstanding employees. Recognize an employee's personal milestone (graduation, wedding, new child, etc.) with a gift. Pass around a thank-you note from clients for everyone to see or post client/customer feedback about employees on a public wall or board. Host an employee appreciation day with special perks and staff events. Communicate employees’ ideas and suggestions and their positive impact on the organization. Mail a letter to employees' families commending them for their accomplishments and thanking them for their support. Have a recognition box or "chest" in the office. When someone does something outstanding, let them choose a reward. Give employees a book that relates to his/her career development as a gift. Hold an employee appreciation event annually to recognize employees’ contributions. Give an employee a standing ovation in front of your entire staff or their department. Coordinate a summer cookout or potluck. Give employees a card, gift, or surprise on their birthday. Recognize employees’ tenure with cash, gifts, or an event to value their length of service. Pay for an employee to attend a conference or professional development activity of interest. Assign an employee to a special mentor. Recognize an employee’s job-related strength and ask him/her to coach or mentor others in this specific area because of their expertise. Involve an employee in the strategic decision-making process. Invite an employee to attend a meeting or special event with executives. Provide an employee with the opportunity to pilot a new program or lead a project. Treat an employee to a celebratory lunch or breakfast. Invite employees out to a team recognition dinner paid for by the company. Have senior management prepare a meal for employees to show their appreciation. Offer an employee special face-time with your CEO with one-on-one developmental coaching. Take a group of high-performing employees on a trip or vacation. Give an employee a chance to choose a special project of his or her interest. Provide an employee with the opportunity to work on a high-visibility project. Make a personal thank you phone call to an employee. String a banner across a public office area to publicize an accomplishment. Post an accomplishment on a public electronic visual screen or board. Host a department event or break in honor of an employee or group of employees. Provide an employee with tickets to sporting events, plays or musicals, etc. Give on-the-spot and unexpected gift cards or tokens of appreciation. Post success stories publically on your website or social media websites. Host an annual awards celebration to reward exceptional accomplishments. Offer a production bonus to an employee. Provide a “spot bonus” or "spot raise" when an employee goes the extra mile. Arrange for an ice-cream truck to visit the office and give out free ice-cream. 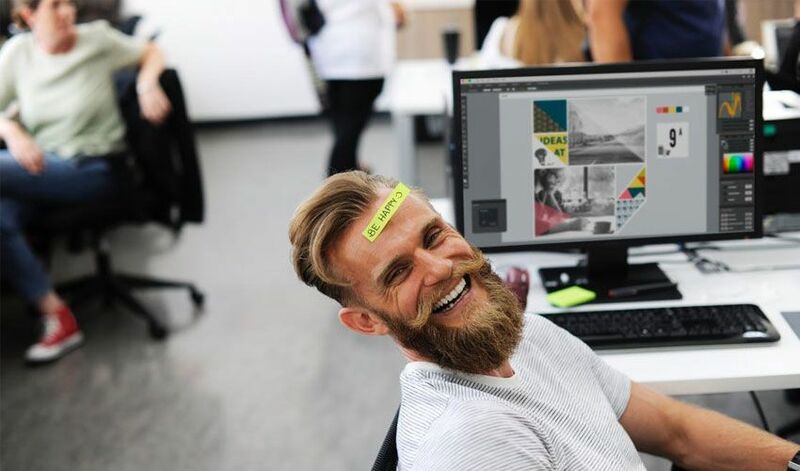 There are a wealth of ways in which you can recognize employees and the above 50 recognition ideas will help you keep employees motivated, engaged, and feeling valued and appreciated. Never underestimate the power and impact of these ways of saying thank you and regularly giving employees recognition, particularly in creative, personalized, and meaningful ways...they can and do make a difference.